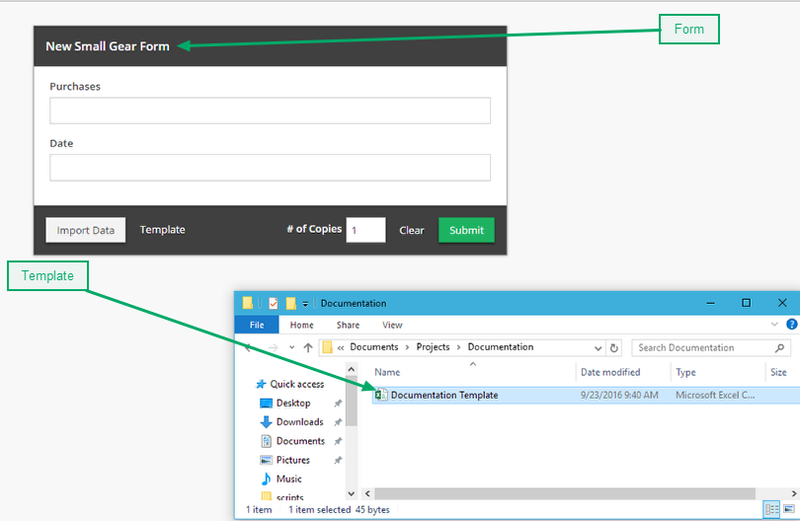 Documentation and SupportReleases Okra Release Notes 2016-09-24Drag and Drop Previews on Forms. 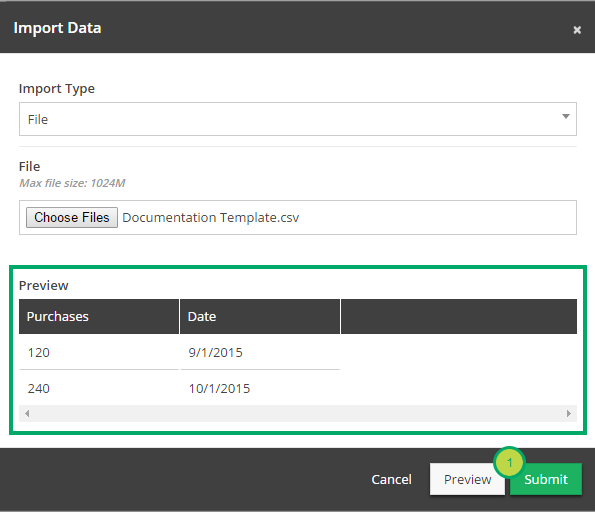 A Preview of data to be inserted can now be created while dragging and dropping files onto a Form. 1. Open a Form that allows pasting. Locate the file that is to be dropped onto the form. 2. 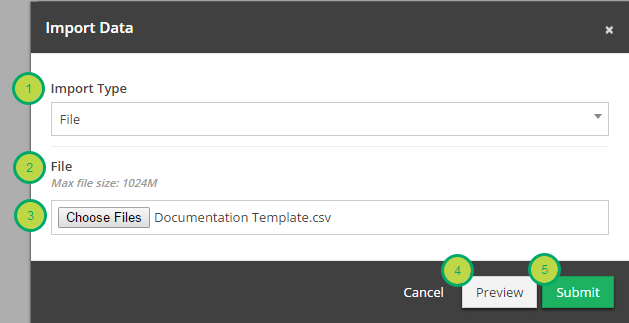 Drag the Template/File onto the Form. 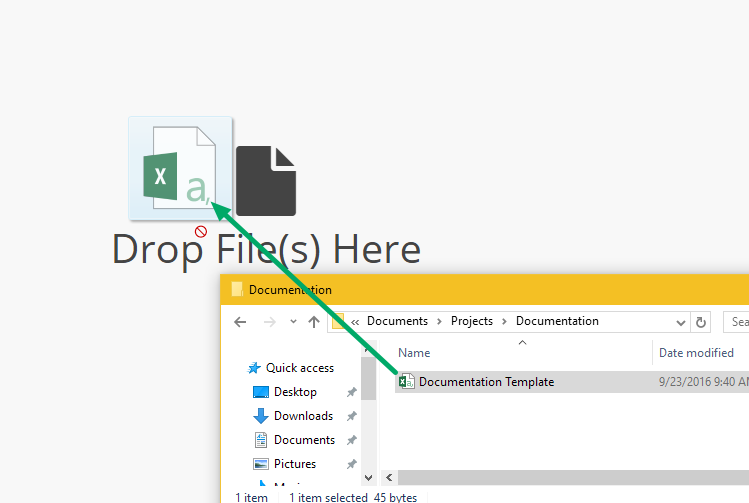 Release the File when 'Drop File(s) Here' appears over the Form. 3. The Import Data modal will appear. File: The file to be uploaded. Choose Files: Press this button to choose different files. Preview: Press this button to Preview the outcome. Submit: Press this button to add the data. 3.1. Click the 'Preview' button. 4. A Preview of the data to be inserted is created. Next: Changes Made to User Access Types.